When Armin Strom associates with two great names in sport – the Formula 1 Marussia team and the GAC Pindar Sailing Team, the brand is clearly in the race both literally and figuratively. Far from merely placing its logo on the dial, the Bienne-based manufacturer has shown its commitment by creating the Racing Carbon timepiece that merges the various identities through a blend of sophisticated mechanics, peerless precision and innovative design. The ARM12 proprietary hand-wound movement deliberately does without additional functions and the emphasis is instead placed firmly on performances, with bridges and plates featuring carbon inserts and clearly built for great feats. 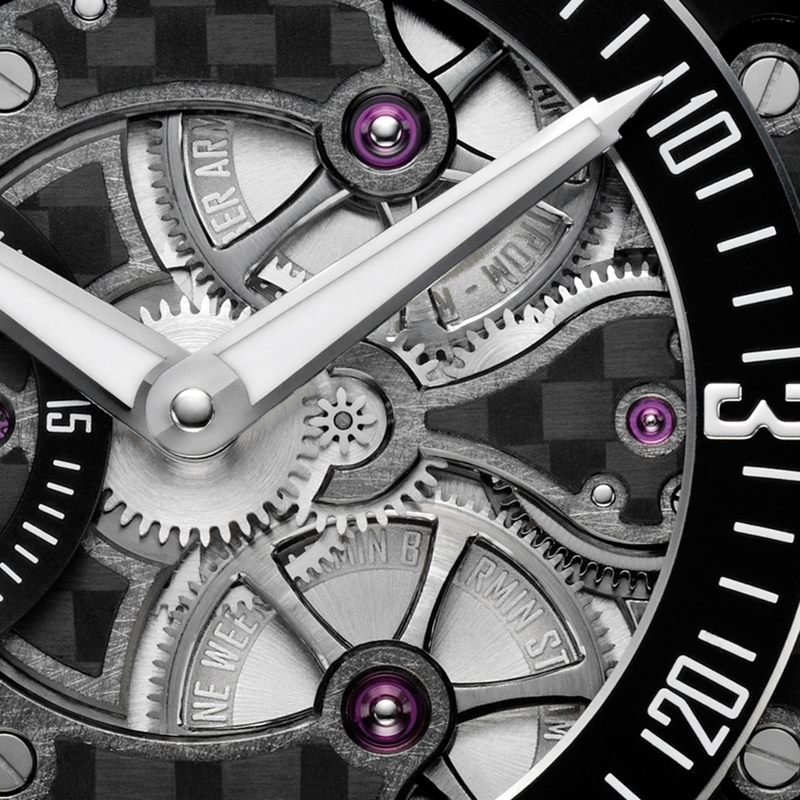 The visible crown wheels and the hand-adjustment mechanism, the main features of the three-part dial, give it a resolutely sporty and virile style. 50-piece limited edition. 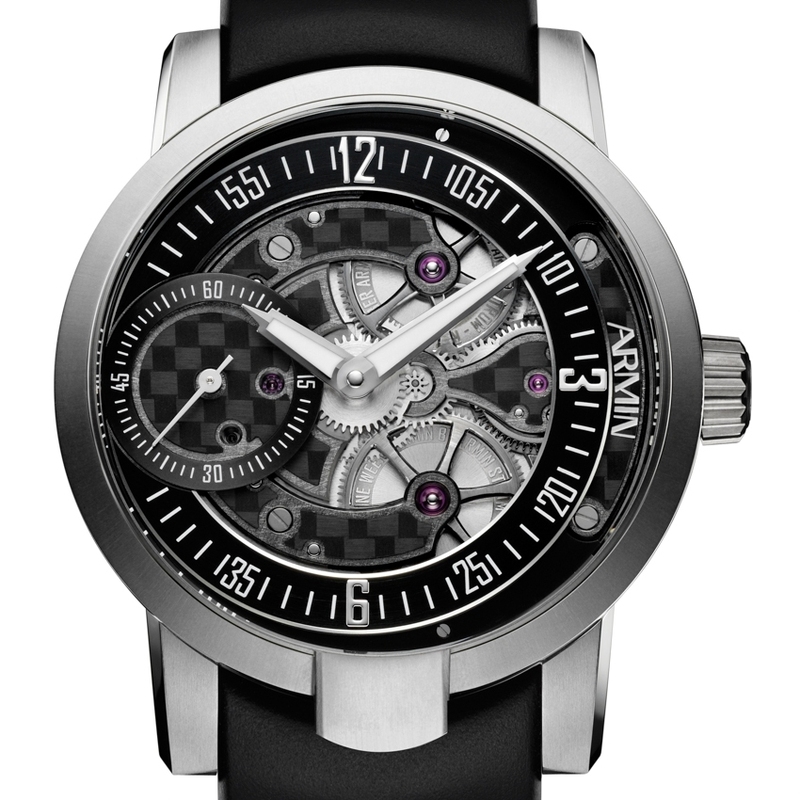 High-tech black leather with titanium pin buckle as well as a black rubber strap. Optional titanium folding clasp.